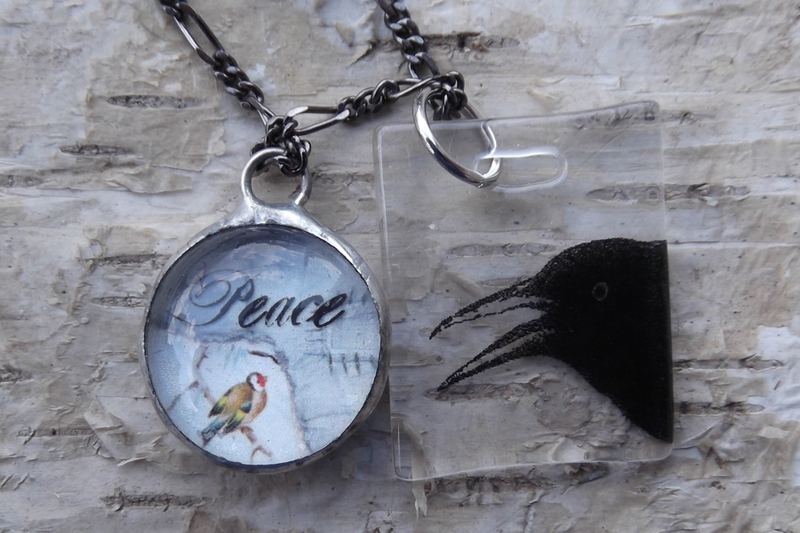 If we at SilverCrow would ever ask for anything more than a crow, it would be for peace. Now we can have them together in one necklace. 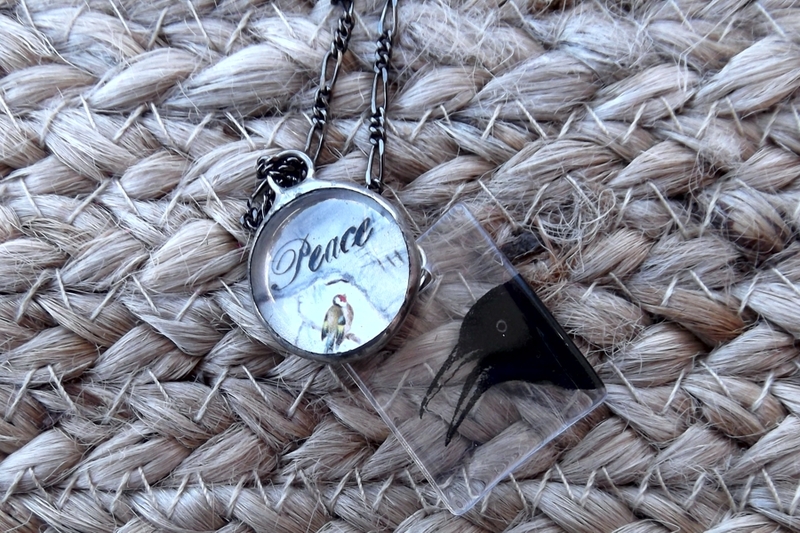 The little round collage-style charm features a cabochon highlights the word Peace (a tiny bird is in the corner, too). 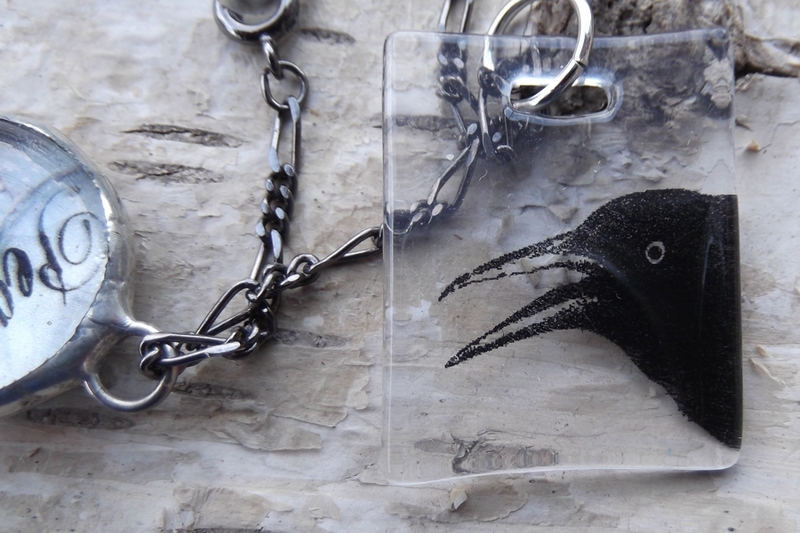 A crow is imprinted on the back of the clear acrylic charm. 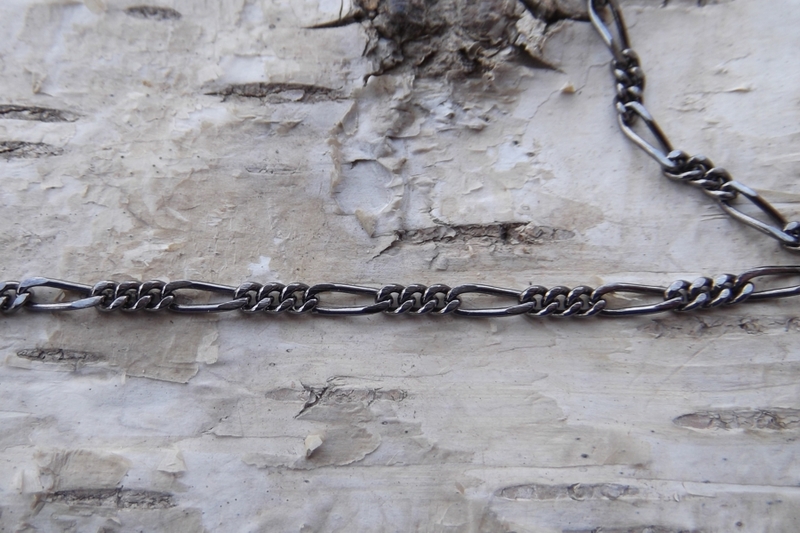 These charms come on a gunmetal chain necklace that measures a little over a 17 inches. 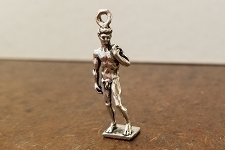 If you prefer, you might remove the charms and wear them separately as pendants or charms. 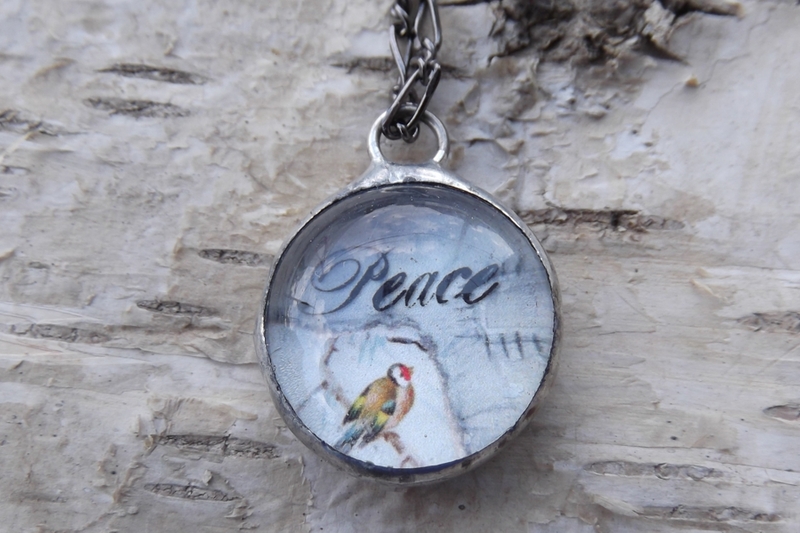 The round collaged charm measures about 3/4 inch in diameter. The hanging loop makes the it about 1 inch long. 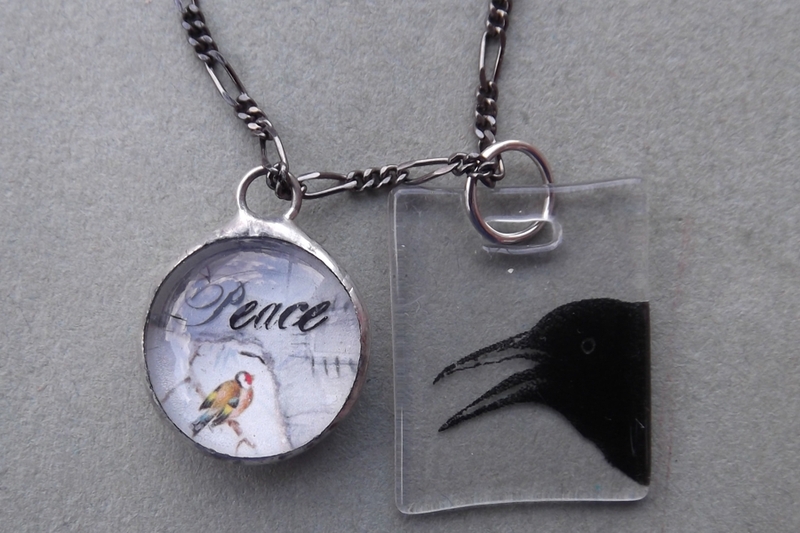 The clear crow pendant measures 7/8 inch wide by 1 inch long. The jumpring adds another 3/8 inch in length (1-3/8 inch total).